Carrying both a backpack and a cooler to work is cumbersome and annoying. Now there’s an all-in-one solution. 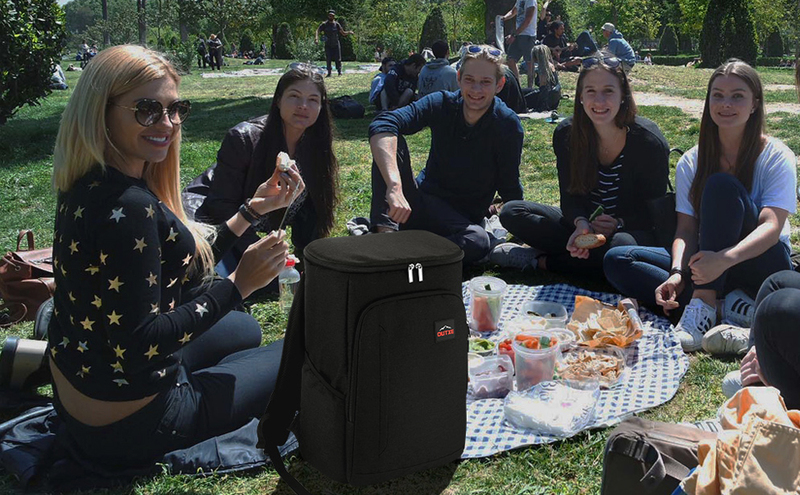 Take the OUTXE backpack cooler with you. Hands-free. No more lugging that cooler! Perfect for taking a road/beach trip, going picnicking, camping, hiking or enjoying other outdoor activities with the family. With its adjustable padded backpack straps and thick padded back, breast strap and waist strap, the OUTXE cooler pack is easy to transport when it's fully loaded with food and drinks. Made from tear-resistant, durable and lightweight 600D polyester. The food-grade PVEA liner is water-resistant and odor-resistant and easy to wipe clean. The extra waterproof rain cover keeps your items dry when it’s raining. 1. Do NOT put ice directly into the cooler backpack to avoid cutting the leakproof material inside the bag. Please use freezer ice packs to keep everything cool.